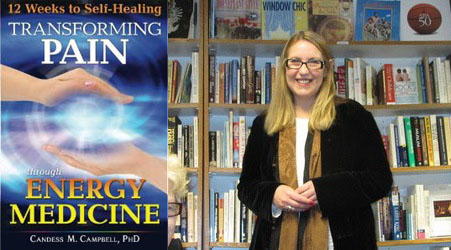 Some of the most helpful tools of Energy Medicine include kinesiology and muscle testing. I use at least one of them in my life on a daily basis. In the forward to Dr. Hawkins’s book, Power vs. Force: The Hidden Determinants of Behavior, editor E. Whalen gives the history of kinesiology. I could not say it better, so I will quote him: The study of kinesiology first received scientific attention in the second half of the last century through the work of Dr. George Goodheart, who pioneered the specialty he called applied kinesiology after finding that benign physical stimuli—for instance, beneficial nutritional supplements—would increase the strength of certain indicator muscles, whereas hostile stimuli would cause those muscles to suddenly weaken. The implication was that at a level far below conceptual consciousness, the body “knew,” and through muscle testing was able to signal, what was good or bad for it. Whalen further explains, “Dr. John Diamond refined this specialty into a new discipline he called behavioral kinesiology.” Diamond realized that the indicator muscles would grow stronger in response to “positive or negative emotional and intellectual stimuli, as well as physical stimuli.” Dr. Hawkins took this concept further when he began researching the “kinesiological response to truth and falsehood” in 1975. This is a simple explanation of kinesiology. Begin with two people. One is the subject, and the other is the tester. Have the subject stand tall, with one arm raised straight out from the side of the body and parallel to the floor. If it is the subject’s left arm that is extended, then the tester faces the subject and places his or her left hand on the subject’s right shoulder. It is suggested that the subject not look directly at the tester, but rather over the tester’s shoulder. The tester then places her or his right hand on the subject’s left wrist, with his or her palm facing downward. The tester can instruct the subject to resist when the tester pushes down on the wrist. Then the tester pushes down firmly on the wrist. The idea is to see whether the response is strong or weak, and there should be a bounce. It is not good for the tester to push too hard or for the subject to strain to resist, as this will fatigue the arm. Different people have different amounts of bounce in their arm as they are tested. Over time, the tester will know their testing answer—yes or no—quickly. When you begin the kinesiology, the first question to ask should be a yes or no question or statement to ensure information is being received correctly. If you are the subject, an example would be for you to say, “My name is [your name].” When you test, you would get a yes response by your arm being strong while the tester pushes on it. Your next statement might be, “My name is Minnie Mouse.” In this case, you would get a no response, meaning the arm the tester is pushing would be weak. To see if you are going to get an accurate response to subsequent questions, you should test strong for what is true and weak for what is false in this initial set, as it is a very simple example in which you know the answers. 2. After you let them down, raise your left arm and right leg. If you are unable to do this because, for instance, you are confined to a wheelchair, simply lift your knees to the opposite elbows, or twist your upper torso so your arm passes over the midline of your body. 4. Continue in this exaggerated march for at least a minute, again breathing deeply in through your nose and out through your mouth. I have included this information because kinesiology is an incredible diagnostic tool, as well as one that is extremely useful in self-healing. Many integrative health practitioners use kinesiology. Some people assert kinesiology and muscle testing are not the same. My assessment is that the ways in which the tests are conducted are different, but the results are the same. Kinesiology requires two people and muscle testing you can do yourself. You are able to use muscle testing personally in many ways. Once you learn the muscle testing, you will be able to adapt this tool to your lifestyle. When you use it on yourself for healing, be aware that you must also remain neutral with no intention or expectation. At times this can be difficult. For myself, when I realize I may have Ego involved in the outcome, I will ask someone else to help me. I have created the process with photos for you to learn muscle testing on my website LINK. A specific way in which you might want to use this tool is to test the level of life energy in the food you eat. Imagine a scale. For example, you may use percentages. Let’s use the example of an apple. As soon as the apple is picked from the tree, it begins to lose its life energy. This life energy is what nourishes your body. When you choose an apple, test the apple for the level of life left in it. A level of 100% would be the highest level of life, and 0% the lowest. To apply muscle testing using your fingers, either take the apple in one hand or touch one of your hands against the apple and test, starting at 10%, 20%, and so on, and see how high the percentage gets before your fingers release, signifying a no. That will give you knowledge about the level of life the apple has retained. I try to find food that has at least 70% of life left. During the summer, your food generally will have higher life energy. Think about it: how much life do you suppose is available in a can of green beans? Try muscle testing it and see. If you need further information or instruction on this technique, you may want to check out the videos called “Kinesiology” on my website at LINK. I have been blessed in having this tool at my disposal at several key moments in my life. One time that stands out for me was several years ago when my family—my dog Friday, my cat Kayla, and I—got sick at the same time. Friday and I fared well and recovered, but Kayla had a more difficult time. One evening I decided to take her to the pet emergency center. A friend of mine was in town and staying with me, so we went together. The vet checked Kayla and said he wanted to run a set of tests to see what was wrong. Well, truthfully, I have been resistive to medical testing and procedures as a first response, so I asked him if he would work with me. I asked what he was looking for with respect to the test results. He explained to me what organs might be involved in Kayla’s illness. My response was to muscle test, and my testing showed it was the stomach. Then I asked him, “If it’s the stomach, what would the treatment be?” He gave me the names of a couple of medications he thought might be helpful in that circumstance. I muscle tested and picked a medication. Kayla was severely dehydrated, having been sick for a few days, and the vet kept her overnight.